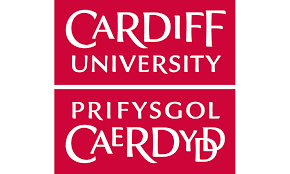 The School of Welsh at Cardiff University is one of the oldest departments of Welsh in Wales, and the oldest established Chair of Welsh is here in Cardiff. The School is home to the Language, Policy and Planning Research Unit and its research output is recognised as being amongst the best in the UK. Recent and ongoing research projects include a substantial project on the teaching and learning of Welsh for Adults, sponsored by the Welsh Government, and also a major research project on language commissioners, sponsored by the Economic and Social Research Council. Amongst other research activity, members of the School are leading actors in the Arts and Humanities Research Council sponsored research network on translation and non-state cultures and the Cardiff University research network on (re-)constructing multiculturalism. The School is also home to a vibrant cohort of postgraduate research students, many of whom are sponsored by a range of bodies – research councils, government, NGOs, and charities. The School welcomes postgraduate candidates from across and the world and students are able to conduct their research either in English or in the Welsh language.